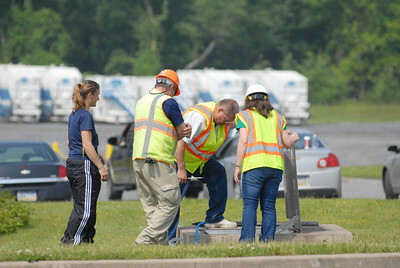 Members of the Milton Regional Sewer Authority open up a sewer cover near Minuteman Environmental Services on Wednesday morning. 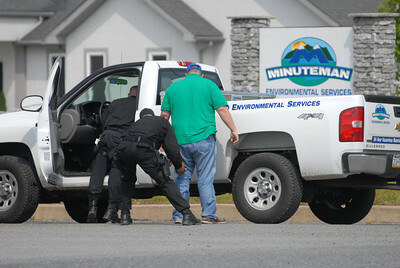 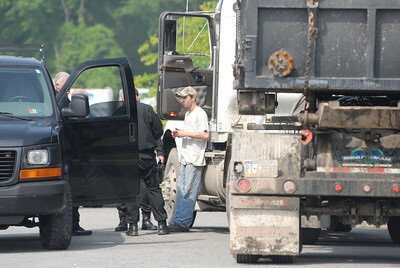 A employee of Minuteman Environmental Services is frisked outside his truck after pulling into the companies driveway on Wednesday morning. 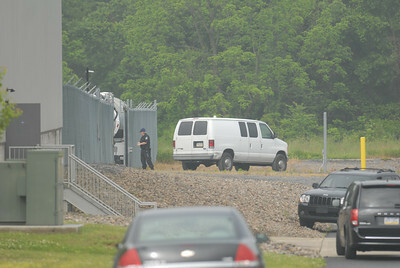 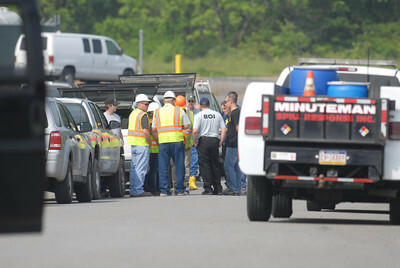 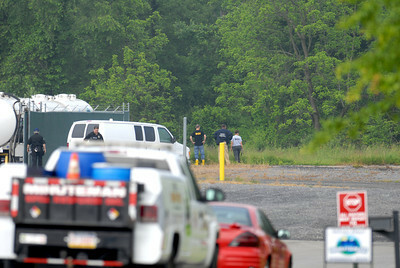 Federal agents stand in the back lot of Minuteman Environmental Services in Milton on Wednesday morning. 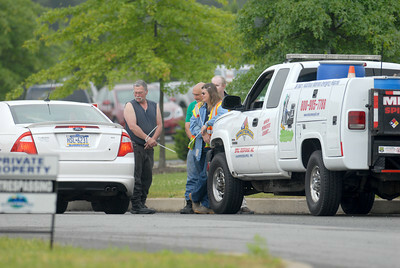 Three people in zip tie hand cuffs stand in the driveway to Minuteman Environmental Services in Milton on Monday. 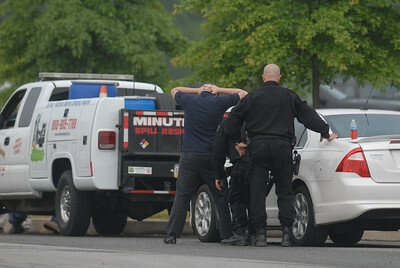 Agents from different govermental agencies including the FBI and IRS make their way into Minuteman Environmental Services in Milton on Wednesday morning. 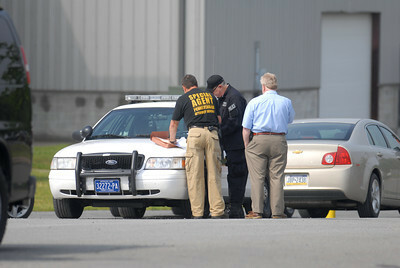 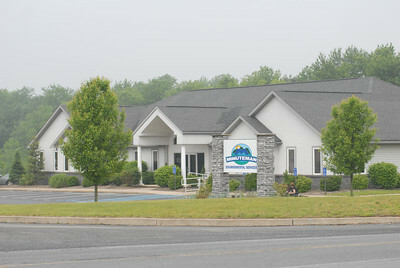 Special Agents look over paperwork outside Minuteman Environmental Services in Milton on Wednesday morning. 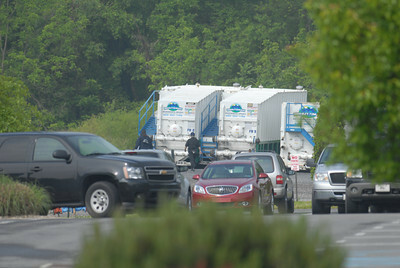 Files from Minuteman Environmental Services in Milton are loaded into the back of a truck on Wednesday morning.